Here is the summer dessert you’ve been searching for! 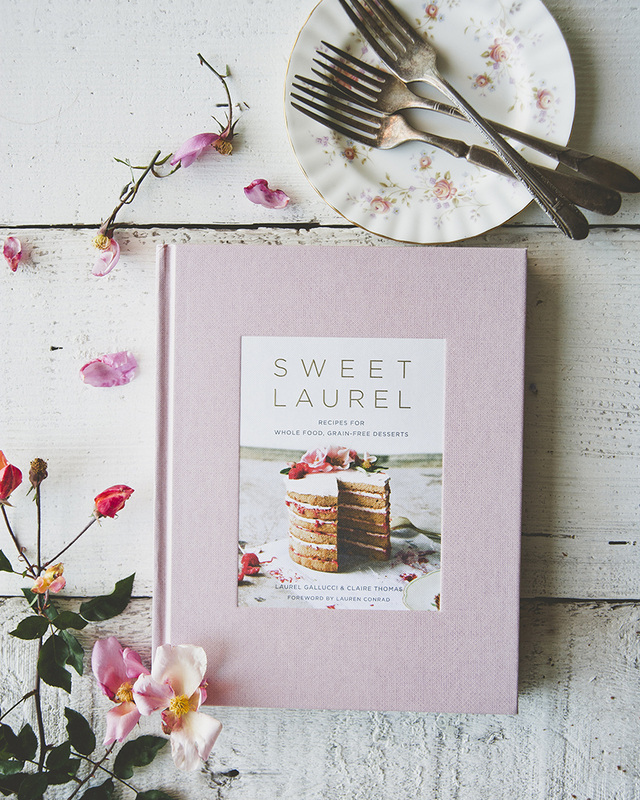 Sweet Laurel is all about simple, yet delicious food, and this is no exception. 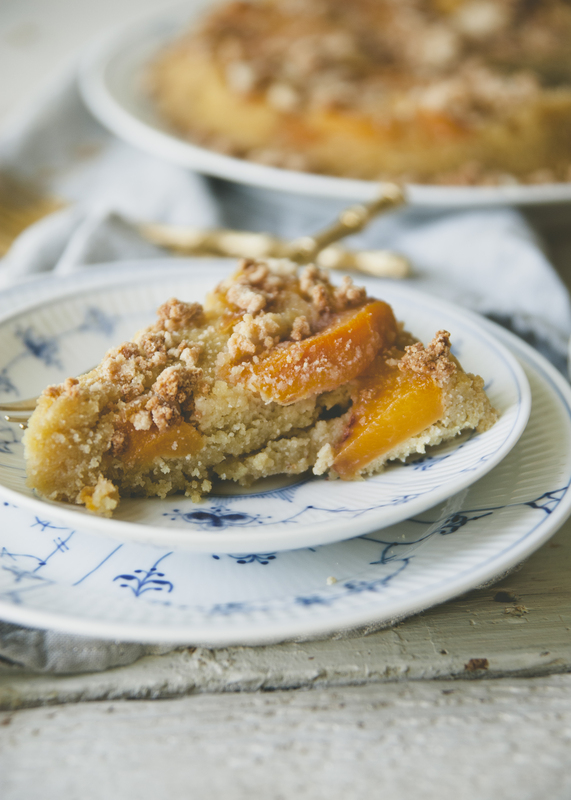 I love everything about this dessert, from the lightly sweetened, deliciously moist cake layers, the flavor-filled peaches, and the finish of the streusel. 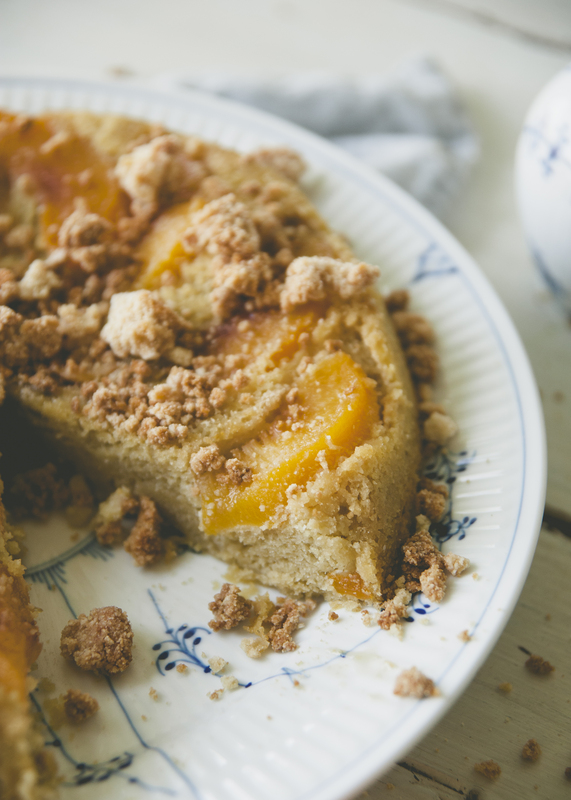 I think it is perfect with a cup of tea, or even better, a scoop of vanilla ice cream. Enjoy! Prepare a 8 or 9 inch pan by greasing with about a tablespoon of coconut oil. Add a tablespoon of maple syrup to the base of the pan, and spread evenly along the base of the pan. 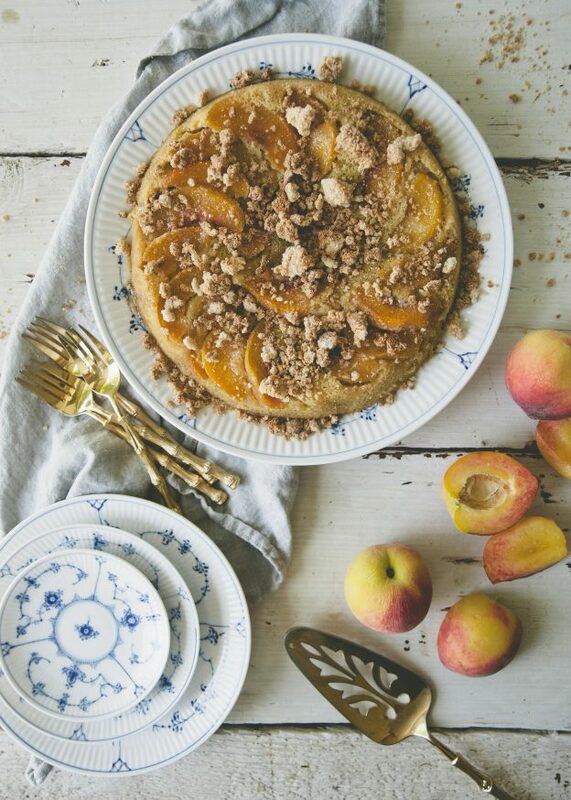 Place the cut up peaches in the pan over the maple syrup. Prepare the cake batter. Beat the eggs, maple syrup, coconut oil and vanilla extract together. When thoroughly mixed, add coconut flour, himalayan pink salt, a pinch of cinnamon and baking soda. Mix together and pour in pan over the peach layer. 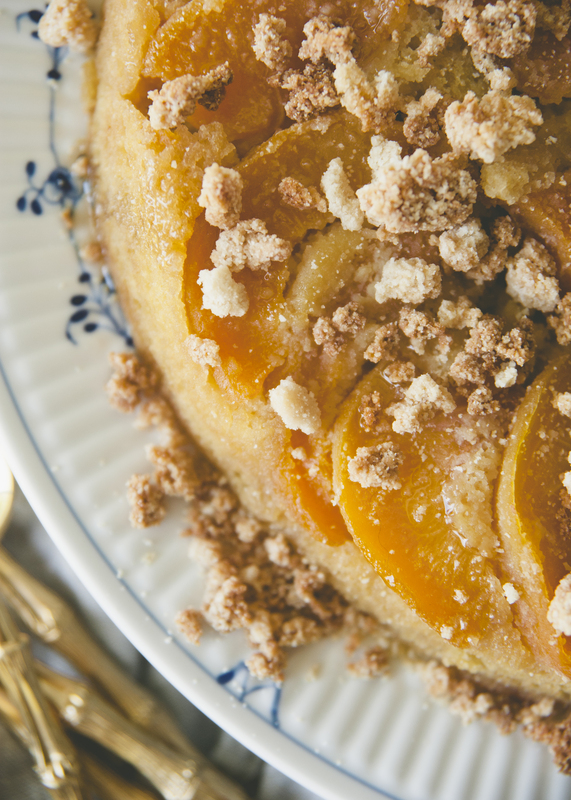 Top with streusel mixture, and bake for 25 – 30 minutes, until cake is baked through and topping is lightly browned. This entry was posted in baking, brunch, dessert, dinner, diy, event, healthy, lifestyle, paleo, seasonal, snacks, summer, vegan, wellness and tagged baking, baking class, coconut oil, dessert, extra virgin coconut oil, gluten free, grain free, grain free baking, paleo, peach, peaches, summer, summer recipe, sweet laurel, sweet laurel bakery, sweet laurel cookbook, sweet treats, sweets, vegan on August 24, 2018 by sweetlaurel. What temperature should the oven be at? 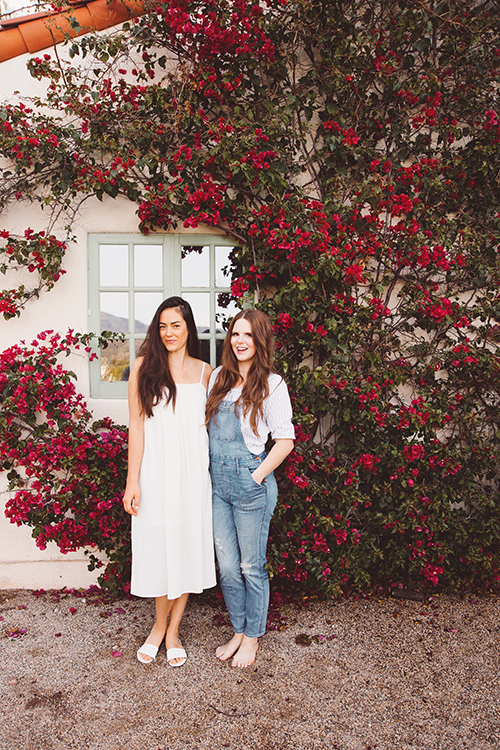 Where can I find those pretty plates? This looks really delicious!